Round-robin (RR) is one of the algorithms employed by process and network schedulers in computing. As the term is generally used, time slices (also known as time quanta) are assigned to each process in equal portions and in circular order, handling all processes without priority (also known as cyclic executive). Round-robin scheduling is simple, easy to implement, and starvation-free. 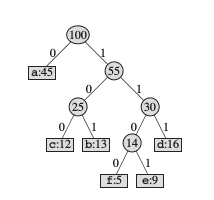 Round-robin scheduling can also be applied to other scheduling problems, such as data packet scheduling in computer networks. It is an operating system concept. To schedule processes fairly, a round-robin scheduler generally employs time-sharing, giving each job a time slot or quantum (its allowance of CPU time), and interrupting the job if it is not completed by then. The job is resumed next time a time slot is assigned to that process. If the process terminates or changes its state to waiting during its attributed time quantum, the scheduler selects the first process in the ready queue to execute. In the absence of time-sharing, or if the quanta were large relative to the sizes of the jobs, a process that produced large jobs would be favoured over other processes.